From the beginning, I struggled to see the point of this panel. I get that there are different camps of gamers and different platforms catering to those camps, but at the end of the day, we’re all gamers. I expected a degree of elitism to rear its ugly head during the “debate,” and in some ways, I was right. Larry Curtis, the panel’s moderator, fired the first shots—albeit lightheartedly—by teasing the console panelists’ tardiness while commending the PC enthusiasts for their punctuality. It pulled a few laughs from the audience, aiming the panel in a jovial direction. Once the latter half arrived, the conversation took an odd turn. Steven Smith and Adam Ames from TruePCGaming represented the PC half, while the retired professional competitive gamer Justin Burns, a.k.a ToxicEuphoria (winner of Thursday’s SLGC Halo 2 2v2 tournament), and Alex Steinlauf, GameStop Game Advisor and Social Associate for Megaplex Theaters, represented the couch competition. Curtis kicked the event off easily enough asking when each panelist discovered their love for gaming. Everyone’s answer ranged from ages six to eleven, each with that defining “and then I was hooked” moment. 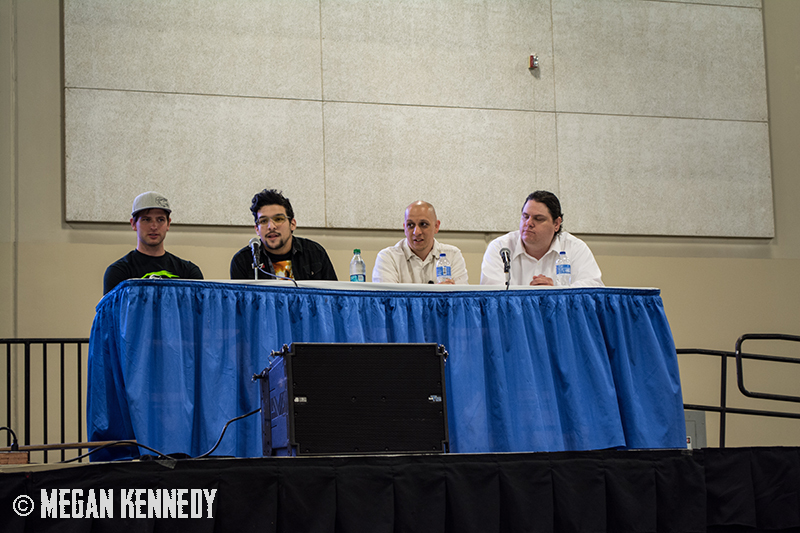 The next question led into the panel’s title: Why Console/PC? Steinlauf championed the community dynamic, arguing that local multiplayer brought gamers together in a brand new way. Burns lived up to his pseudonym with a snark attack against PC gaming, clearly firing a few shots of his own. Adam Ames countered with the PC’s ability to access a wider range of games through backwards compatibility to older titles as well as a broad capacity for customization. Burns disagreed, stating, “it’s in the name: They’re old. The past is dead!” This abrasive attitude continued from Burns throughout the rest of the panel, approaching preachy transhumanist/futurist philosophy at times—at one point he proclaimed, “We are slowly becoming the Borg!” I may share a similar view of our species future in the long run of things, but he forced the relevancy of his agenda into the discussion amid a few good points. About halfway through, Larry Curtis asked how mobile platform, specifically cell phones, factored into today’s outlook on gaming, which drove the discussion for the rest of the panel. No one could argue the smartphone’s skyrocketing popularity as a gaming device. 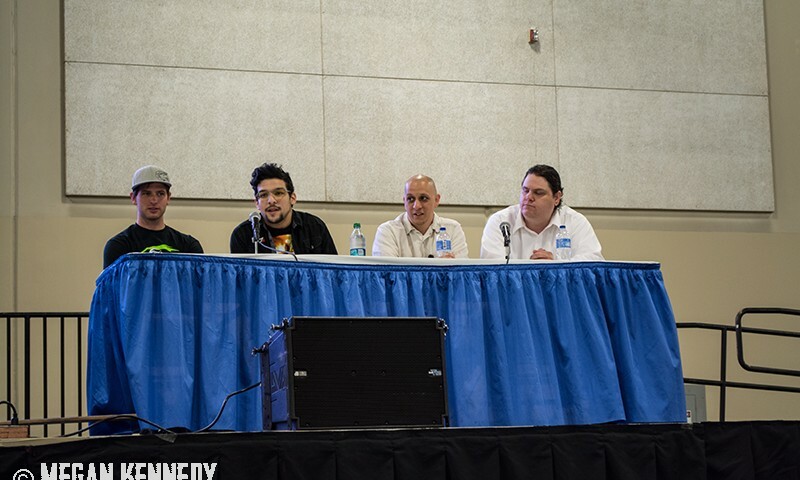 The entire panel had one man running a microphone around to various audience members with thoughts or questions, and though I appreciated the encouraged participation, I couldn’t help thinking it reflected a lack of preparation and focus. This was a good attempt at the gaming convention’s first panel for the first year, but I left still firm in my platform stance: Can’t we all just game along?